From conducting fish and game population and migration surveys to engaging in conservation and advocacy efforts to enforcing state and federal conservation laws, Maine’s game wardens are the boots on the ground law enforcement officers that help to preserve the state’s diverse and abundant natural resources. Due to the limited availability of jobs with the Maine Department of Inland Fisheries and Wildlife, game warden hopefuls in the state also often apply for Federal Wildlife Officer jobs with the U.S. Fish and Wildlife Service to improve their prospects. The competitive nature of the selection and hiring process requires applicants to meet minimum qualifications and have either a degree or professional experience in a relevant field. Read on to discover more important information on how to qualify for game warden jobs with the Maine Department of Inland Fisheries and Wildlife or the USFWS. Maine’s natural hallmarks are its rocky coastline, heavily forested terrain, and waterways teeming with fish. Individuals that enjoy Maine’s wilderness regions and who have a passion for protecting it are encouraged to apply to become a Maine state Game Warden, a career path that has exciting opportunities for motivated individuals in one of America’s great wilderness areas. Game Wardens patrol these lands as a uniformed presence and conduct surveillance and enforcement action to manage the activities of hunters, anglers and others enjoying recreational activities in Maine’s wilderness areas. At the same time, they serve as educators who work to improve the public’s understanding of why conservation efforts are so important. As certified peace officers, Maine’s Game Wardens have a challenging set of responsibilities. This means every candidate needs to be prepared with foundational knowledge in both law enforcement and natural resource conservation. Listed here are the minimum qualifications needed to apply for the role of Game Warden in the state of Maine. A full listing of the requirements can be found on the state’s Department of Inland Fisheries and Wildlife website. License: A valid Maine-issued driver’s license is required. Military Service: Members of the military require a discharge detailing "Under Honorable Conditions"
Work Eligibility: New employees must present original documents that establish identity and eligibility for U.S. employment opportunities as per federal law – applicants must be eligible to accept employment before the process continues. Candidates will be subject to mandatory drug screening. Academic Credentials: Completion of high school or GED is required; an associate’s degree or completion of 54 semester hours from a college or university OR experience in sworn law enforcement that includes making arrest for criminal activity and conducting criminal investigations OR military service will substitute for the required education on a year for year basis OR two years’ experience working in wildlife resources, agriculture, natural resources or recreation will substitute for each year of the required education. Interview: Candidates will have a panel interview with enforcement officers designed to test practical knowledge of the outdoors, quick thinking, writing skills and computer knowledge. Medical evaluation: Medical personnel will evaluate the candidate before they can continue with the hiring process. Demonstrate any Bilingualism is an asset. Demonstrate effective use of firearms. 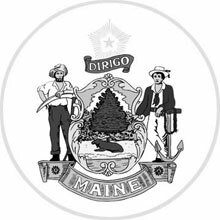 The Maine Department of Labor reported that the average salary for game wardens working with state’s Department of Inland Fisheries and Wildlife was $48,040 ($23.10 hourly) as of 2016. Experienced game wardens earned an average of $52,130 ($25.06 hourly), while entry-level game warden positions paid an average of $39,850 ($19.16 hourly).